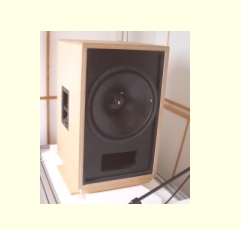 This slide-show gives a short introduction to ABEC and demonstrates the components of the simulation of a complex loudspeaker cabinet. The experiment makes a comparison between simulation and measurement. It features three drivers mounted with the rear in a common sealed enclosure and at the front in a short common horn-stub. In order to capture main topics the structure features complicated boundaries and induces strong coupling between the Boundary and Lumped Element parts. The size of the three drivers where kept small intentionally in order to minimize the influence of mechanical eigen-motion of the membranes. The associated ABEC3-project is part of the Example-Package. See at folder. 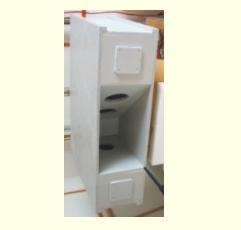 This project has been used for the Coupling-Paper. 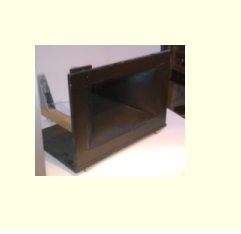 This slide-show gives an overview of modeling a horn loaded bass-cabinet. My friend Renzo dropped this monster one day at my door-step. 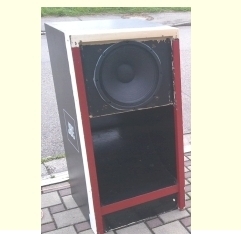 This loudspeaker is a remains of the famous Bogart discotheque here in my neighborhood. I thought it may serve for a good tutorial example in modeling with ABEC. The modeling is complex as it comprises seven sub-domains, and coupling to lumped elements. The measurement was challenging as we had to do it out-doors. This slide-show gives an overview of modeling a classic vented enclosure with a single 15" drive unit. The model features the combination of three sub-domains, one for the interior, one for the vent and one sub-domain for the exterior. Again, the diaphragm is coupled to a lumped element network, which takes care of the mechanics and electronics. The fit of the simulation-curves to measurement is encouraging. Again, the measurements had to be done out-doors. The associated ABEC-project is part of the Example-Package. It is called SP38.abec. This slide-show gives an overview of modeling a mid-range horn driven by a compression driver. In this setup only the horn-bell and the radiation is modeled with the help of BEM. The first part of the horn and the compression driver are simulated by Lumped Elements. This example also demonstrates a trick, which simplifies the modeling procedure of the exterior by avoiding input of the exterior of the horn shape. The voice-coil slit of the compression driver, which is used in this example, is filled with ferro-fluid. Otherwise, the modeling of the compression driver would have been more complex. The associated ABEC-project is part of the Example-Package. It is called Horn H 400 LE.abec.